The Oasis PLFCMSL Drinking Fountain serves children, adults for two-level dispensing of cold drinking water. 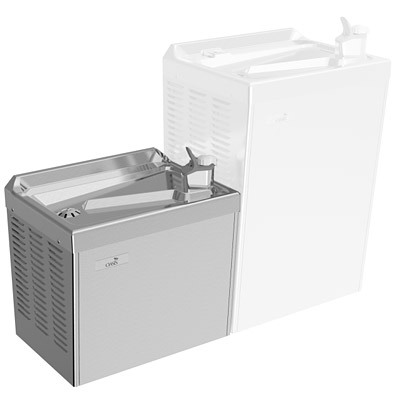 Includes a specially fabricated cabinet side panel for the full-size On-A-Wall water cooler and insulated interconnecting water and waste lines with fittings. Model PCMSL is available for addition to any full size OASIS® On-A-Wall models.